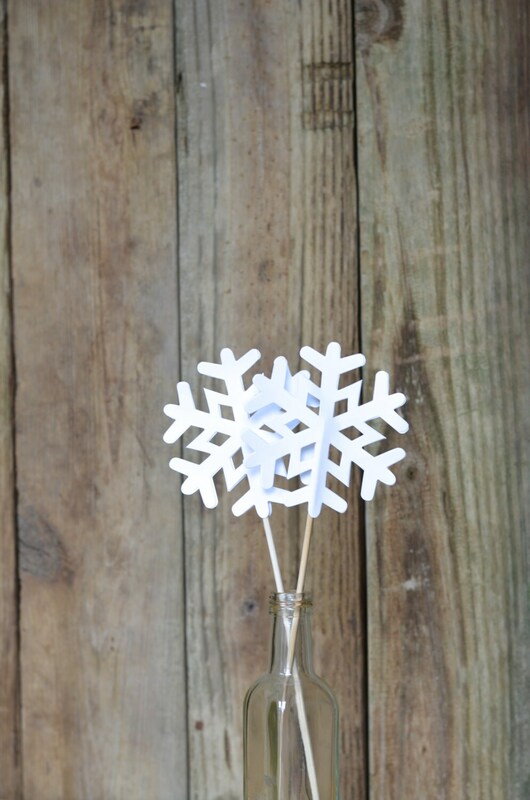 These large snowflake wands are the sweetest things! 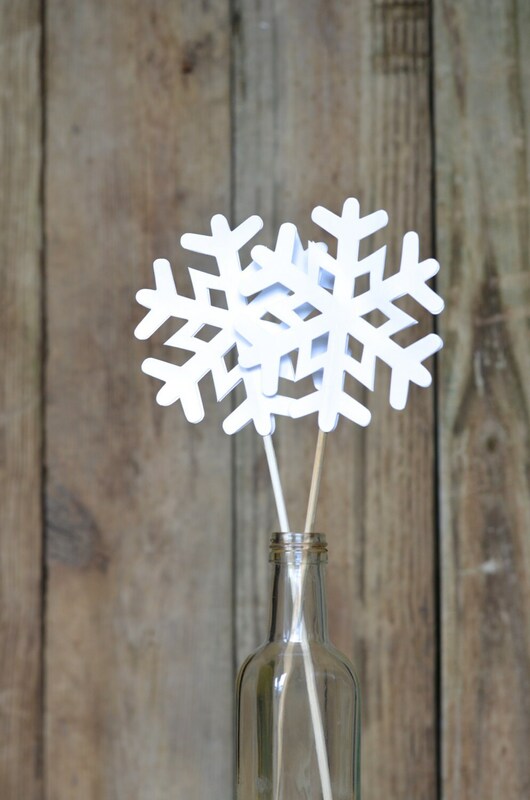 Made from the same white cardstock as our Snowflake Garlands (https://www.etsy.com/listing/154320860/frozen-snowflake-garland-extra-large?ref=listing-20), these will add a bit of winter fun to your occasion! Each pick is double sided. 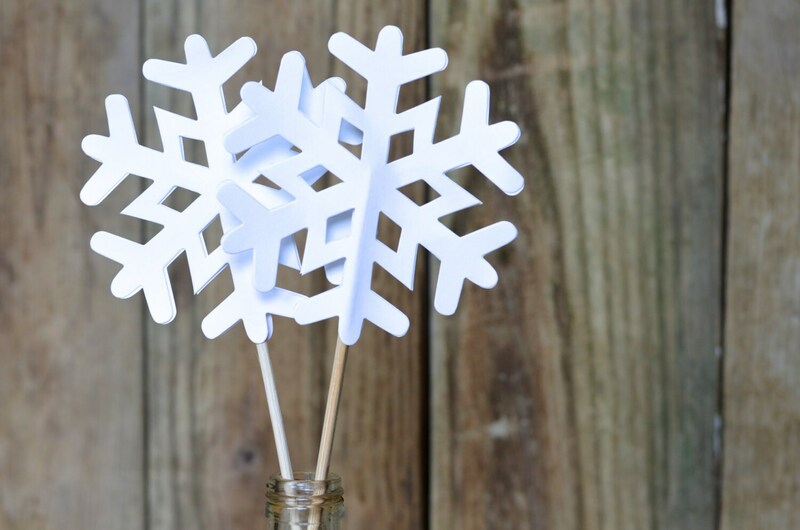 If you'd like a different color, amount or size, just send us a note - we love custom orders! 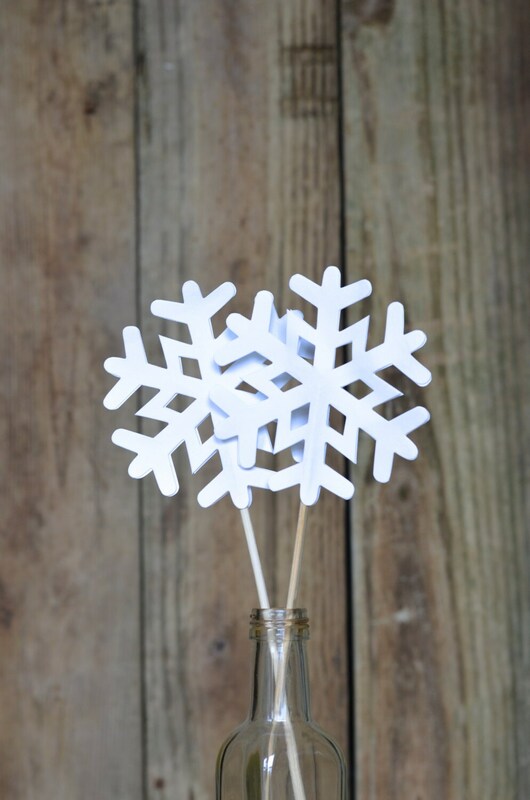 - when adding these to your cart, select your color (white or white glitter) and quantity (or any combination of quantity!) or contact us for a custom listing. Just as described, quickly shipped. 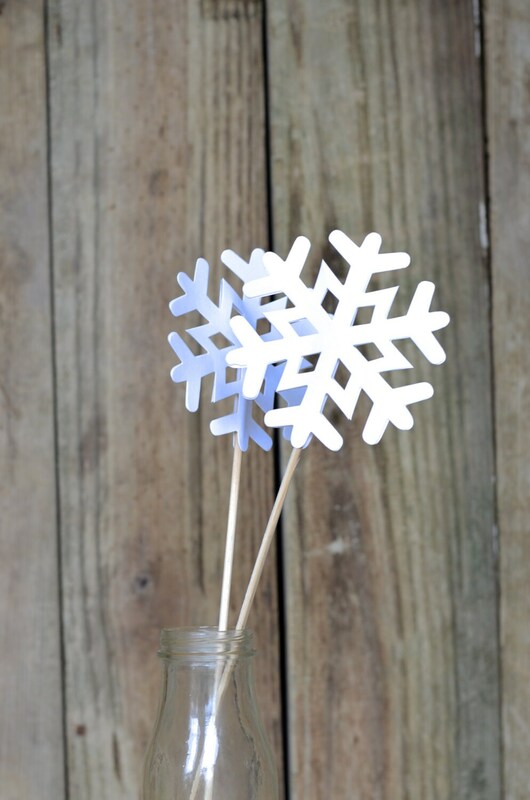 What a delightful bouquet of snowflakes! Well packaged so they wouldn't get bent. Shipped quickly too. Thank you!